Part of our mission as Christians is to stay informed, understand our world and raise awareness with others so that we may serve more effectively. We continue to explore how we as a community can learn about other faiths, combat racism in ourselves and engage in conversations with people whose belief systems are very different from ours. To that end, we collaborate with other like-minded organizations to present seminars, book studies, lectures and experiences that will help create a community of reconcilers, justice-makers and healers. Saint James is hosting a cross-cultural culinary experience in which participants share a meal prepared by former refugees and/or our neighbors from around the world who have recently settled in the United States. BRIDGE operates as an internet platform where families, businesses, and neighbors can book cultural experiences with refugee families. 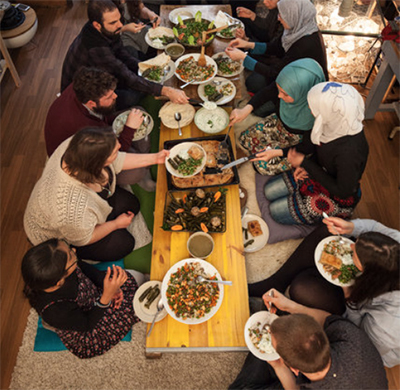 Every experience connects people to the culture, cuisine, and stories of refugees. Learn more about BRIDGE here. 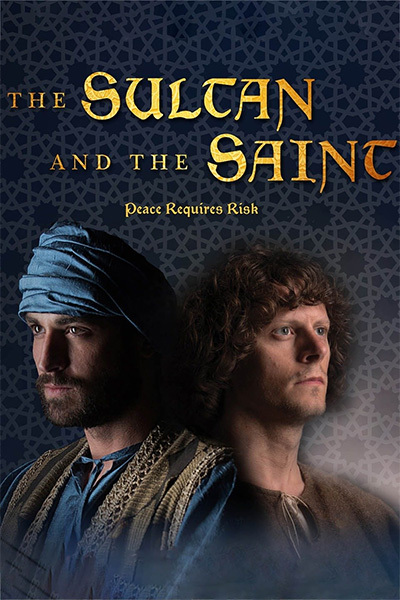 The Sultan and The Saint tells one of the great lost stories from history as two men of faith fought against a century of war and distrust in a search for mutual respect and common ground. The evening begins with a simple dinner. A main course and beverages will be provided. Anyone who wishes can sign up here to bring a side dish or dessert. It is not necessary to bring a dish in order to attend. Please RSVP so we can plan for the evening. Following the docu-drama, our own Br. David and Fr. Kevin Crinks from St. Mary the Virgin Church will lead us in a discussion as we continue our exploration of how to have difficult conversations with love and spread peace and understanding by acceptance. * Please note: This drama is rated PG13 and is not suitable for young children. The documentary is 58 minutes long. Fr. Kevin Crinks, OSF serves as priest at St Mary the Virgin Church, Leigh in the Diocese of Manchester, England, having been ordained 25 years. Fr. Kevin has been involved in Franciscan communities for several years and joined the Order of Saint Francis in 2013. He lives in the Vicarage in Leigh, Lancashire with his dog Brian. Br. David Rutledge, member of our own Saint James Episcopal Church in Lancaster, PA also joined the Order of Saint Frances in 2013 and serves our parish and others by leading daily prayer and being our ALERT liaison. Br. David is currently involved in organizing a mission trip to Puerto Rico. Join us in the Saint James Parish House Forum Room for a frank discussion about creating racial justice and a strong sense of shared community. As in years past, we are teaming up with Trinity Lutheran to offer this study to members of both congregations. Members of the Healing Racism committee at the Lancaster Society of Friends will be facilitating our discussions. 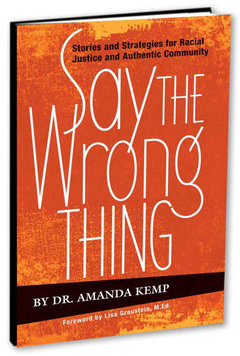 Part memoir and part social commentary, Dr. Amanda Kemp’s short book provides insight and strategies for creating racial justice and a strong sense of shared community. 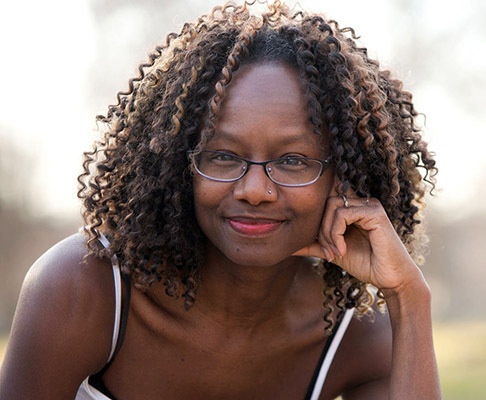 Her voice is vulnerable and personal as she reflects on her own interracial relationship, parenting her Black teenaged son, and making art in the age of Black Lives Matter. Her short essays leave you cheering and hopeful.